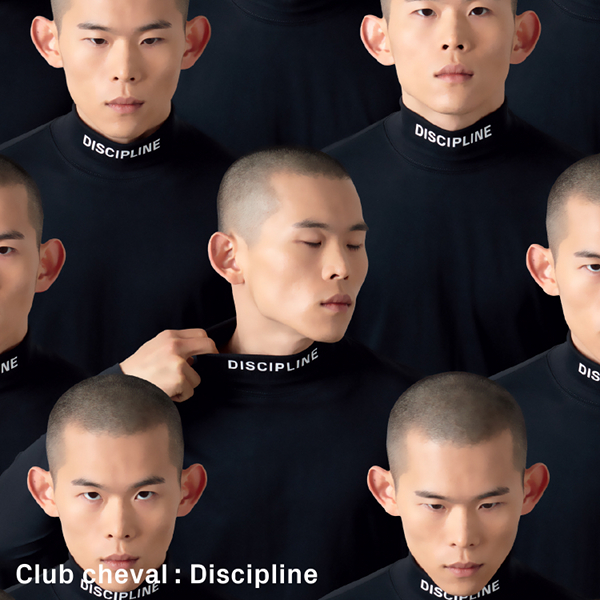 Club cheval is about to take you on the next level with Discipline, title-track from their upcoming debut album. And we love their productions, especially this one. Club cheval are a collection of unique visionaries from the varied and vibrant French club scene. The band members – Canblaster, Myd, Sam Tiba and Panteros666 – bounce off one another with their different influences, daring each other with new ideas and striving to better themselves. Together the four have created a sound where genres (club music, hip hop and R&B) merge together to become one. Having originally met as students in Lille, Northern France, they introduced themselves with two EPs on Brodinski’s vital Bromance label as well as remixes for Rihanna, Underworld and Two Door Cinema Club. Club cheval preview their eagerly anticipated debut album ‘Discipline’ with release of the album’s title track which impacts on September 4th. R&B is a genre that lives and dies on a vocal. Luckily, Club cheval met the right man for the job. Enter Rudy, a Miami-based R&B singer and the voice that will give Club cheval’s unique soundscapes a universal language. The ‘Discipline’ EP comes with new mixes from Canadian producer Ryan Hemsworth; the new collaborative project With You. which is led by Major Lazer co-founder and M.I.A. collaborator Switch; up-and-coming Chicago duo Louis The Child; and finally a Balearic take from Club cheval’s own Panteros666. Adapt, innovate, combine, create – this is the Club cheval way. Powered by WordPress v 5.1.1. Page in 1.086 seconds.